Schlock-Wire: Grindhouse Releasing Returns With A Diverse Slate Of Cult Movie Blu-Rays And DVD’s – Schlockmania! 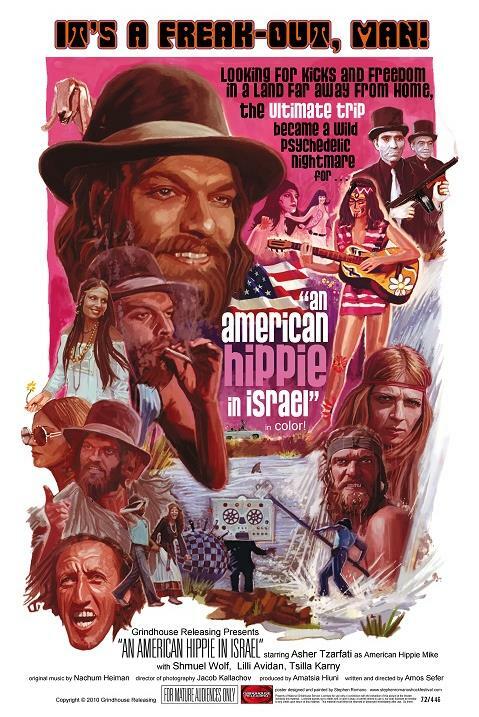 HOLLYWOOD – Grindhouse Releasing has announced CORRUPTION and AN AMERICAN HIPPIE IN ISRAEL as the first in a series of new Blu-ray, DVD and theatrical releases. Both movies will arrive on home video on September 10. Founded by the late Sage Stallone (1976-2012) and Bob Murawski, Grindhouse Releasing has long been considered the Criterion of cult movie labels. In a span of seventeen years, the company has produced lavish restorations of such notorious titles as CANNIBAL HOLOCAUST, Lucio Fulci’s THE BEYOND, I DRINK YOUR BLOOD, PIECES, and many more to worldwide acclaim from fans and critics. The release of AN AMERICAN HIPPIE IN ISRAEL and CORRUPTION marks the company’s return to the video market after a hiatus of two years during which Academy Award-winning film editor Murawski was busy working on Sam Raimi’s OZ THE GREAT AND POWERFUL. It is also the company’s first release since the passing of company founder Sage Stallone. Grindhouse Releasing has brought its films to theaters all over North America. In recent years, the company coordinated nationwide theatrical releases of such celebrated horror classics as Sam Raimi’s EVIL DEAD and William Lustig’s MANIAC (both remade in 2013). Grindhouse scored a hit on the midnight movie circuit in 2010 with its restoration of Duke Mitchell’s long-lost gangster epic GONE WITH THE POPE, and now aims to do the same with the psychedelic nightmare AN AMERICAN HIPPIE IN ISRAEL. The rarely seen, shocking British feature CORRUPTION, starring Peter Cushing as a mad surgeon, will hit Blu-ray and DVD on September 10. The Grindhouse Releasing special edition of CORRUPTION coincides with the legendary Hammer Films star’s 100th birthday, and will be preceded by a series of theatrical playdates. Four additional titles will follow in late 2013 and late 2014: Sergio Sollima’s THE BIG GUNDOWN, THE SWIMMER, starring Burt Lancaster, Duke Mitchell’s GONE WITH THE POPE and S.F. Brownrigg’s SCUM OF THE EARTH (a.k.a. POOR WHITE TRASH PART 2). According to Murawski, the company’s entire back catalog will also appear in new Blu-ray editions soon thereafter.